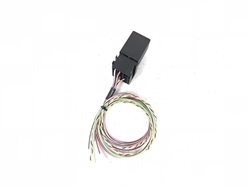 We have finally developed a solution to enable the reverse light function when using a 6L80E or 6L90E in your swap project! This CAN relay kit provides a +12V reverse light signal to your vehicle's back up lights. Works with 6L80E and 6L90E transmissions. No programming required.